Its very good to see that India and Bangladesh have some successful talks in border negotiations and water sharing treaties. In the middle of 'n' number of failed talks with China, and never ending problems in Kashmir border this may open new frontier and may be help to settle the border problems with other countries. Indian and Bangladesh reached an agreement on mutual legal assistance on criminal matter and transfer of sentenced prisoners. 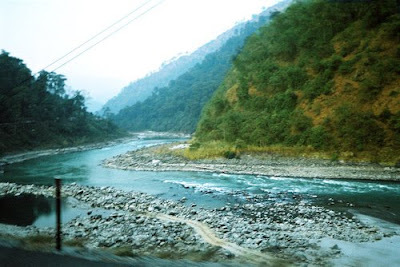 Along with this negotiations are on for water sharing treaty on the beautiul 'Teesta river', use of Chitagong port by India and trade agreement. Both countries also agreed to discuss all boundary issues. Along with this India has agreed to provide 100MW electricity to Bangladesh. Not only in Bangladesh, the 6th Bhutan-India meeting on border management and security also completed smoothly. Will this incident have any impact on other border issues? like the one with Pakistan and China? I don't think so. I cant understand why Asian countries are still unable to solve their boundary problems. Look at North America and Europe all most all settled. Why cant we solve these problems even after 6 decades (after the independence), 'n' number of talks and many wars? The only thing we can do is hope. Hope that at some point in future, India-Pakistan border problems may be solved, at some point in future India-China border problems will be solved. Who knows when, the only thing i can hope is that it will happen before this millennium(which just started) ends.